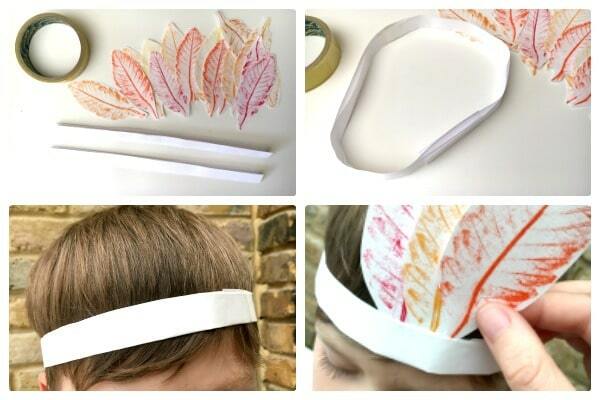 We have some pretty Autumn Leaf Crowns to make for you today! 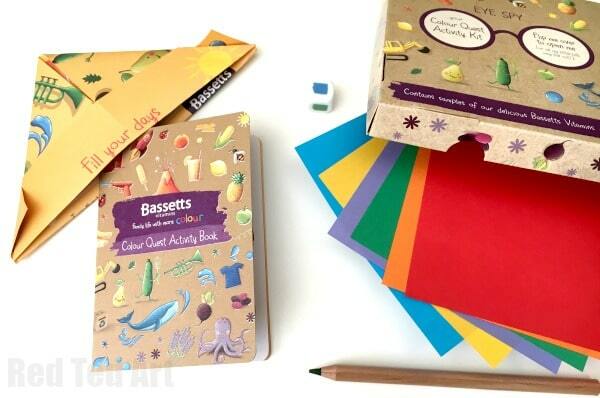 They idea came directly from our sponsors today – Bassetts Vitamins and their Colour Quest Activity Book. 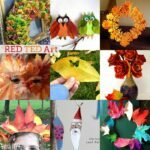 Though we love to craft here at Red Ted Art HQ, sometimes, it is nice for someone else to decide what we should do next. 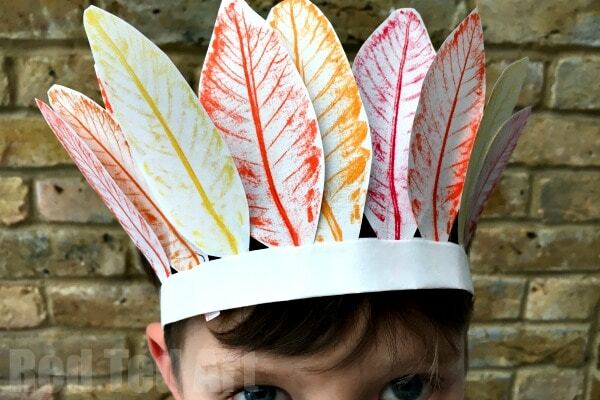 We took up the challenge (more below) and had a crafternoon of making Autumn Leaf crowns (we have made a Nature Crown version before, but love this arty leaf rubbing version too…). Bassetts did some research into Family Life and discovered that 50% of parents were “truly desperate to spend more time together”, whilst 10% said they NEVER spent any quality time together at all (yikes). So to bring COLOUR into families lives they created some fun packed activity pack (read to the end to win your own pack)! These kits have been designed to ENHANCE every day activities (e.g. like walking to school), rather than creating new ones. Making it EASY to spend more quality time together. Spending more time ogether is not just great for the child but for the parents too. 63% of parens say their children remind them how to laugh each day! And 45% say spending time together has helped them overcome a fear of new challenges. We all benefit fro more time together!! Parents say the distraction of technology (30%) and work (51%) are two of the biggest barries to family time. So let’s make some time. Put technology aside. Get our handy little kits out and have some fun together. 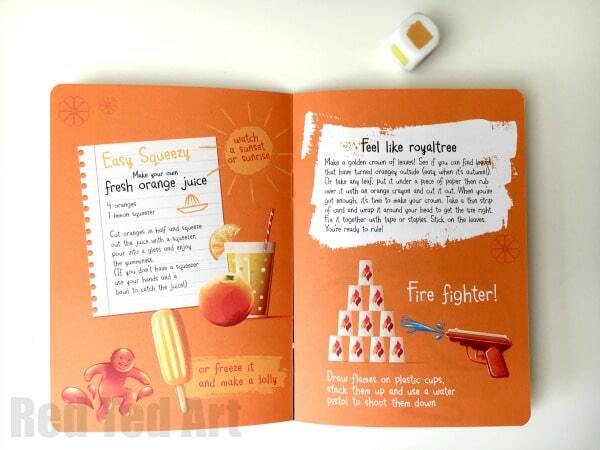 The idea is simple – roll a colour di – see what it lands on… go to the colour corresponding activity section and pick a challenge – whether it is a delicious fruity smoothy or a crafty craft.. there is something for everyone. We rolled the di and landed on orange… and went for the ROYALTREE golden leaf crowns. 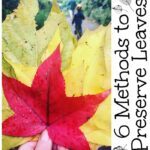 As mentioned, see if you can turn a boring routine school run, or walk to the shops into a fun leaf collecting exercise.. or if you have time begin this activity with a trip the park. Even just spend 5 minutes outside your front door – there may be some lovely leaves there. 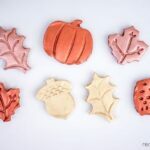 Pick the leaves you would like to rub – pick BIG ones, if you want to cut out less, pick medium ones for more colours and variety. 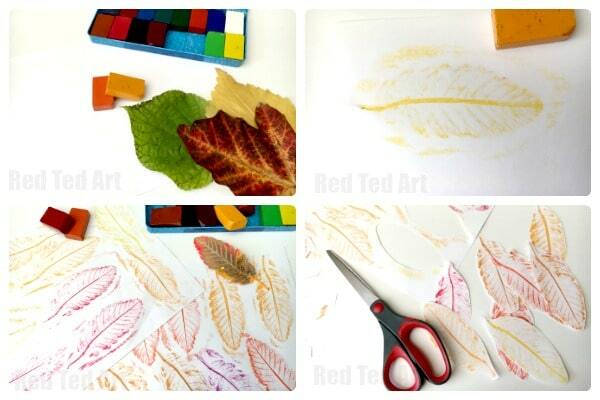 Do your leaf rubbings – top tip – pushing your crayon sideways across your leaf will yield better results. This also applies to pencils – dry and rub them across as FLAT possible. 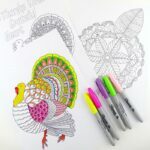 If you use the pointy ends, you will draw over your leaf and not pick up the patterns as well. Cut out all your leaves. It doesn’t have to be super neat to still look nice. I think ours look like feathers! Take two strips of paper and fold them in half. The fold is great for two things – you can later slide your leaves into the fold and it also strengthens the paper. Tape the two strips together at one end. Then measure and make sure they fit around your child’s head and secure again. 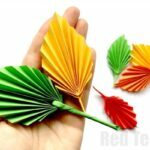 Now you can insert your leaves into the fold or you can tape/ glue/ staple your leaves in place. We cut the stems of some our leaves – as they fit more snuggly into the fold that way and also gave us a nice variation in size. And your Autumn Leaf Crown is done! 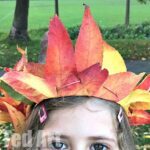 I think these Leaf Rubbing Crowns would also make wonderful Thanksgiving Leaf Crowns – not only do we like the leaf theme for Thanksgiving, but you could write on the back of your leaves what you are thankful for…. We have a little give away. If you fancy getting your hands on a Colour Quest Activity Pack (includes, the colour di, booklet, a rainbow pen and some coloured papers) as well a lovely children’s umbrellas shown, all you need to do is leave a comment below telling us one of YOUR favourite family quality time activities!! We have 10 PACKS TO GIVEAWAY!!! Yes, that is correct – great chances of winning. 10 of you will have a wonderful kit and umbrella for the rainy season! Open to UK residence only. The giveaway ends on the 10th October 2017. The children’s umbrella may vary from the images shown. Delivery of the prize is the responsibility of Bassetts and not Red Ted Art. We love long nature walks! Our favourite thing to do as a family this time of year is to put on our wellies and go for a long walk in the countryside, building dens, climbing trees and splashing in puddles. 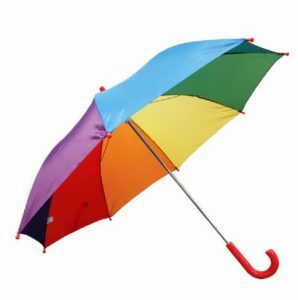 My four year old son only asked me this morning for a “rainbow umbrella” while getting soaked in the rain on the way to school – he thinks the rainbow will bring the sun out! I think he’d love this and I would be very happy to send you a photo of him with it if he’s the lucky winner! Squirrel spotting, hide and seek, jumping in puddles in our park are our favourite autumn activities. We love to do handcraft art as I enjoy their imagination been showed in things they can use or wear ? I’d love to win one for my daughter! She loves the rainbow colours! ??? One of our favorite things to do as a family is collect rocks! We love going to the beach early to collect them as the sun rises. I love to craft with my kiddos, but that isn’t my husband’s cup of tea… he likes to bring them in on the action when he cooks. We all enjoy a good puzzle or board game. Sounds like an amazing pack! We love crafting and playing basketball. Love this rainbow umbrella. What a fun prize! Nature walks are our favourite – and then we normally end up using the nature finds to craft something afterwards. My kids adore nature walks and crafting with their special finds. This is such a sweet idea! We love hiking and playing board games as a family! My daughter loves to do anything and everything in the park. We like to play board games , going to the park , jump in the puddles , collect leaves and different rocks. And my daughter thought your umbrella was really cool . We just went outside for a spotlight. It was glorious seeing all the little glowing eyes watching us from the torch shine. Those packs look gorgeous and the umbrella – too cute! 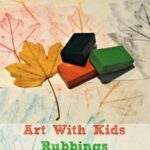 Leaf rubbing! Great idea. We have done coins recently (new and old pounds) plus a wonderful section of the V&A for brass rubbings, even did bark, but never thought of leaves. And I LOVE Autumn leaves. We don’t love Autumn showers though, but that could change with that belly. Got to be honest, Mum may want it more than her boys, it’s so happy. We love biking and playing games. Ours has to be our Saturday morning swims!! I love doing activities with the kids like going to the museum, parks etc. Just getting out and being active! 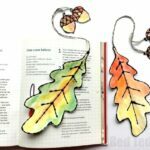 Definitely going to make these with my class next week when we go on our Autumn walk. So lovely. We love to go exploring woods and hillsides with the dog and a picnic. At this time of year we love putting on our wellies and going to the common to run through and find lots of different coloured leaves. WE love walks in the forest especially in autumn time, collecting leaves and cones. Days out getting fresh air are a must! We have a great local country park ideal for watching the changing colours of autumn and running through crisp dry leaves! Anything arty! At the moment we are enjoying painting and varnishing pretty pebbles from our local beach to give as stocking fillers to grand parents, aunts and uncles! Our grandson Alfred belongs to the messy school of art. The more mess the better ! Many many things that we love doing together, but probably all sitting down to a meal together is one of my favourite things. We love going camping in the summer….lots of dog walks all year round and cosying up with some board game too ! Our favourite activity is going to the beach, regardless of the weather! We love going geocaching! Great fun!! The umbrellas look lovely and I think that these types of kits are great for families! (We wished we lived in the U.K. so we could enter!) . Our favourite things to do as a family are going for nature walks, creating and physical activities (we are Canadians and the stereotypes of skating, skiing and sledding are totally true!). We love swimming and cycling. Making cards for Christmas/Birthdays etc. We are lucky enough to have the chase behind us we love going for walks whatever the weather come rain or shine! We love getting amongst nature, dog walks, beach forraging, rounders or cricket and a good old picnic ! Camping in the summer we love it. Camp fires are the best. We love snuggling up and reading books together. one of our favorite activities js camping and playin in the river. This time of year, it’s countryside walks, picking up interesting things (mostly leaves!) then going home and decorating things like pots or making a collage. We love sitting down and playing board games- hungry hippos is a fave! My kids can’t get enough of craft sessions with mummy and daddy! Making anything and everything but as long as mummies sitting with them and making a mess. Carving Pumpkins…. and it’s nearly that time of year again… woooo! We love to go to the park, feed the ducks and geese and visit the pets corner where there are chickens, other birds, guinea pigs, rabbits and a few other small animals. my children love it and we love getting outdoors! We Home Ed and use Charlotte Mason style Educational lessons, which entail a lot of outdoor learning which is much needed with 3 lads! we might go for a walk and collect treasures then take them home study them. Identify leaves and seeds etc . Draw them or make prints with them. If we have picked edible berries we bake with them, determine what time of year they flower and fruit . If we can we do experiments with them and write our findings. Has to be swimming – so much fun, and exercise at the same time! We love a good old fashioned card game or a silly “minute to win it” type game.